Cynthia “Cindy” Long, 45 of Calabash died July 6, 2010, at New Hanover Regional Medical Center. She was born April 10, 1965, a daughter of Bonnie Jo Walker Athan and the late Roland Wayne Athan. In addition to her mother, she is survived by her husband, Mike Long, and two sons, Jonathan Long and Matthew Long, both of the home. Funeral services were at Beulah Baptist Church. Burial followed in the Thomas Cemetery. 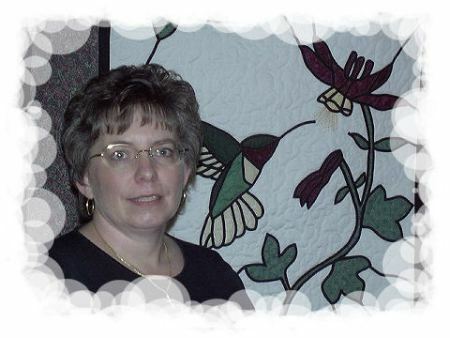 Cindy was a talented quilter and a wonderful asset to our group. She is sorely missed. Lola LaVerne Thomas, 83, of Ocean Isle Beach, died Saturday, December 31, 2011, in Brunswick Community Hospital. She was born on March 1, 1928, in Powhatten Point, OH. 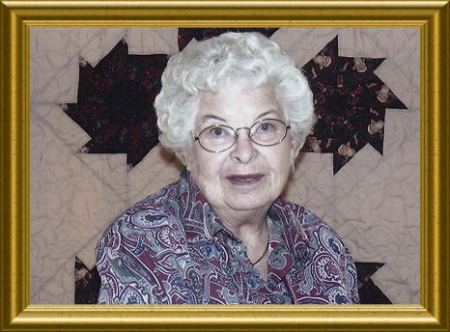 She retired from Verizon Communication as a plant assigner and was a member of the Eastern Star, Long Bay Garden Club, Brunswick Quilters, Brunswick Co. Homemakers Club, and the Telephone Pioneers of America. Surviving are her husband, of 64 years, James H. Thomas; son, James L. Thomas, and wife, Emily, of Alexandria, VA; brother, Gene Payne, and wife, Dorothea, of Woodbridge, VA; two grandchildren, Jennifer T. Morris and Nathan Thomas; three great-grandchildren, Lillie Ann Morris, Tristen Morris, and Kaitlyn Morris. The family will receive friends from 3-5 pm on Friday, January 6th at the funeral home. Interment will be at a later date in Arlington National Cemetery. Former BQ President Cleo Lawrence passed away November 24, 2017, at Good Samaritan Hospice House in Wexford, PA. She was 76. Cleo and her husband Leroy made their home in Ash, NC for 17 years prior to moving back to their home state of Pennsylvania. Besides her activities with Brunswick Quilters, she was also involved with Women of the Moose and was a lifetime member of the Grange. She owned and operated her own upholstery business in PA from 1976 through her retirement in 1999. Cleo leaves behind two daughters, ten grandchildren, and five great-grandchildren. Her husband Leroy predeceased her in July of 2017. She also has two sisters. She was a supporter of her children and took a role in all of her children’s activities. Cleo loved all kinds of crafts. She was tireless and will be remembered as a take charge kind of person. The work of the Brunswick Quilt Guild is designed to educate, promote and nurture all persons interested in learning, preserving, and advancing the art of quilting, while also providing service to the community.